IPPB Previous papers are available here. The contestants can download the IPPB sample papers for free of cost. Solve the IPPB Scale 1 question papers for better preparation and to get the high score in the IPPB exam. The candidates can also get the other details of the IPPB exam like exam pattern, syllabus, and selection process. Are you searching for IPPB Assistant Manager Question Papers? Then you are in the right place. Here, in this article, you can get the Indian Post Payment Bank Question Papers for free. The aspirants who are interested in getting the job in the Indian Post Payment Bank can download the IPPB solved question papers to crack the written exam. The applicants can get an idea of the IPPB exam standard. Indian Post Payment Bank Limited has published a notification regarding the recruitment of various posts. The posts available are Assistant Manager, Territory Officer, and Manager. The vacancies available for the various posts are 1150. The eligible contenders can apply for the IPPB exam on or before the last date. 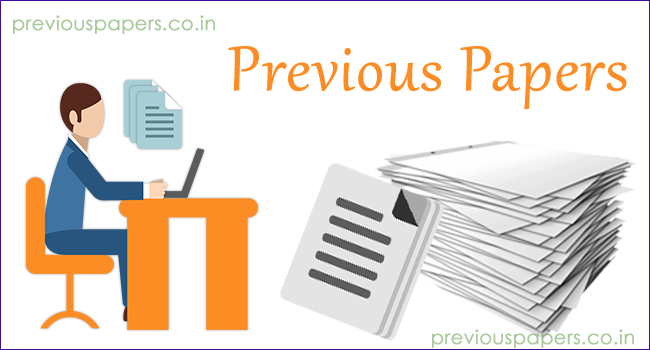 For easy preparation of the candidates, we have also provided the syllabus, previous year papers, and exam pattern. The IPPB Board follows a selection Procedure to hire the skilled and talented candidates for different posts. The Selection Procedure contains two stages. The applicants who will qualify for both the rounds will be selected for the job in IPPB. The Selection Criteria is as follows. The aspirants who will be qualified in the written exam shall be called for the second stage of the selection process. The second round can be GD or Interview based on the list of the merit candidates in the written test. Here, we have updated the syllabus for the IPPB Scale 1 Officer for the candidates who are attending the Indian Post Payment Bank Assistant Manager exam. Follow the below provided syllabus according to the subjects provided below. The applicants can download the IPPB Scale 1 Question Papers to start their preparation. As there is a tough competition among the applicants, they can grab the job through preparation. By practicing the IPPB scale 1 question papers, you will be perfect in all the subjects. Therefore, the contestants can attempt all the sections which are asked in the IPPB exam. The questions from the IPPB Assistant Manager practice papers may repeat in the present IPPB exam. So prepare seriously for the IPPB exam and download the Indian Post Payments Bank exam papers for reference purpose. For the IPPB Scale 1 Officer test papers, the applicants can click on the below links and practice perfectly to get qualified for the written test. Visit the official website www.indianpost.gov.in for other details of the IPPB Scale 1 exam. We hope that these IPPB Manager Previous Papers will be very useful for the applicants who are interested in the Indian Post Jobs. If we find more IPPB Scale 1 Officer Test Papers, then we will update on our site. Follow our website www.previouspapers.co.in for more information on state and central government jobs.